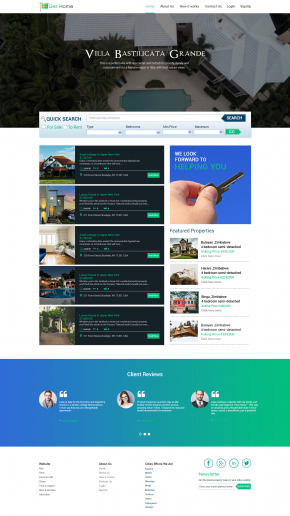 This is a ready-made HTML5 template for a landing page website for a residential property renting and sale. It will help you to create a presentable and functional Internet resource. The template was developed by professionals. The theme is built with the valid code, which also boosts the performance of the web page in the search engines. All elements of the design are optimized for the flawless performance on all handheld and desktop devices, which are in the biggest demand on the contemporary web. The theme supports all the major types of content. 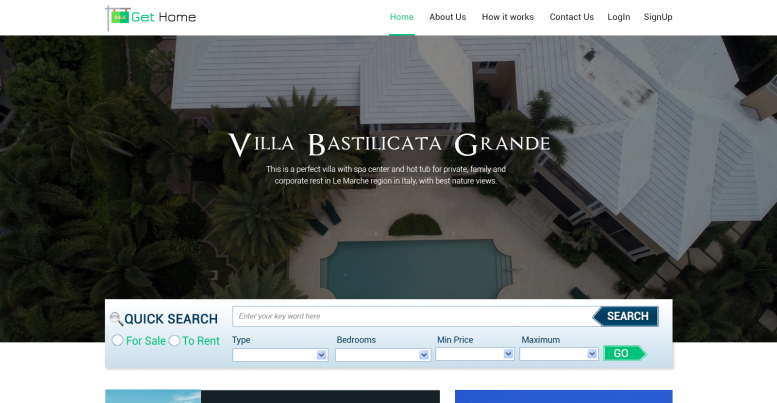 The theme features an advanced search which uses keywords, property type, no. of bedroom and price. The homepage has the featured property section which can be used by the customer to find top rated properties easily. A section is provided with client reviews which displays multiple slides with when picture of the client. It has an attractive footer which features the link to the static pages, the list of cities and a newsletter subscription panel. $24.00 The simple license would allow you to use the template to create one website.